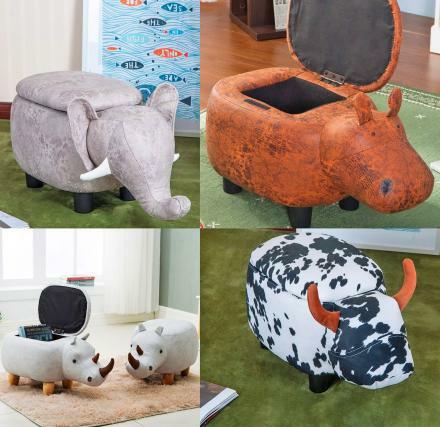 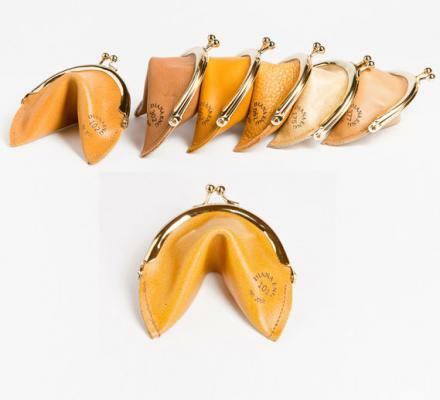 The fortune cookie coin purse is a leather coin purse fashioned to look like a Chinese fortune cookie, and even contains a printed fortune paper inside of each one. 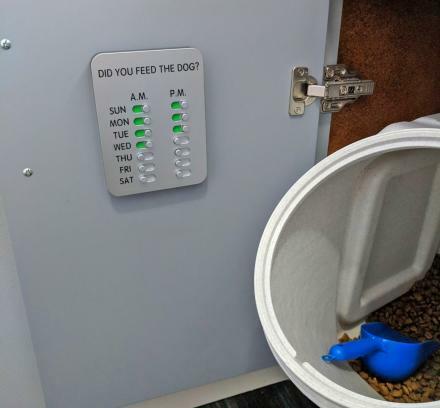 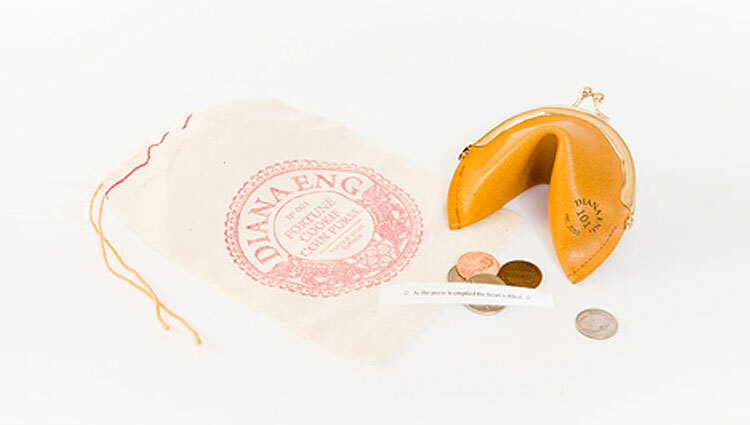 Plus, once you fill it up with your own coins, it will actually contain a fortune, a very small fortune none-the-less but still a fortune. 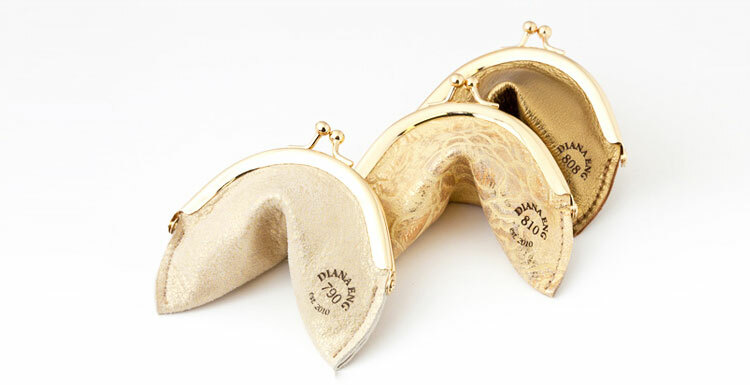 The funny thing about fortune cookies is that it's not even a Chinese thing, us Americans just need sugary sweets after we eat each meal so Chinese restaurants in America started dishing them out. 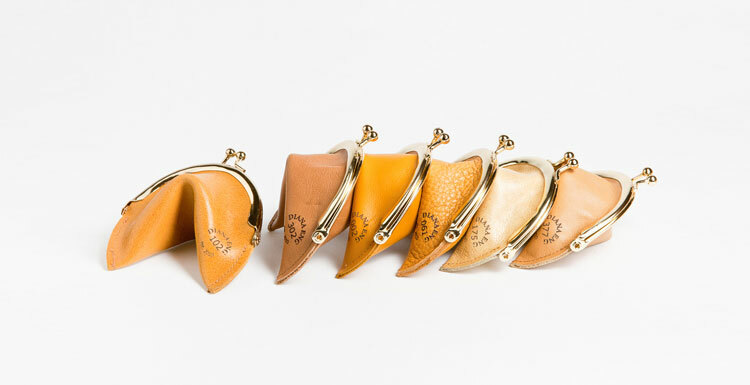 So much like actual fortune cookies these fortune cookie coin purses were made in America using recycled leather with each one having a unique identifying laser etched number on the outside of them. 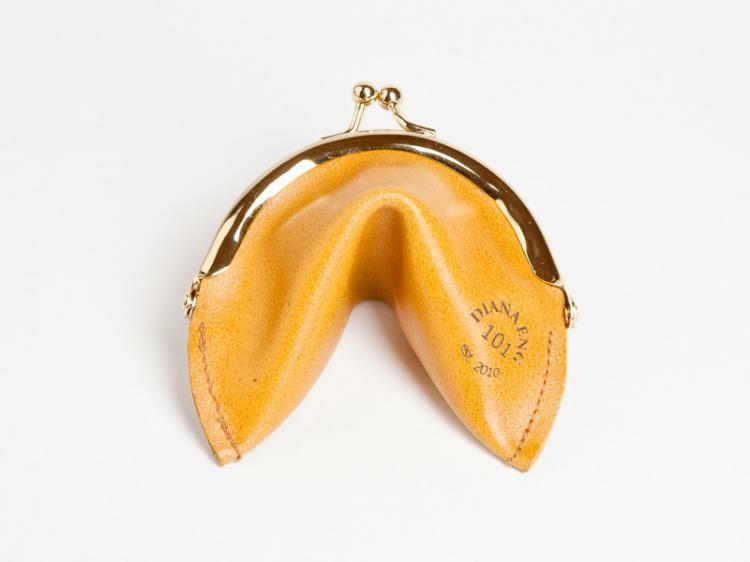 Designed by Diana Eng, a fashion designer that was featured on Bravo's Project Runway season 2, the fortune cookie coin purse comes with it's own dust pouch, printed fortune, and measures 4 inches wide x 4 inches tall x 2 inches deep.